Atos Origin and Sagem, a unit of Safran, have reportedly won a contract worth around 80 million Euros to produce electronic passports for the French government, according to Le Journal du Dimanche. 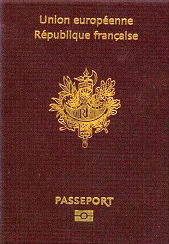 The first e-passports were due to be produced at the end of June. Also competing for the contract was Thales-Accenture, Capgemini-Sopra Group and Bull-Zeltes.